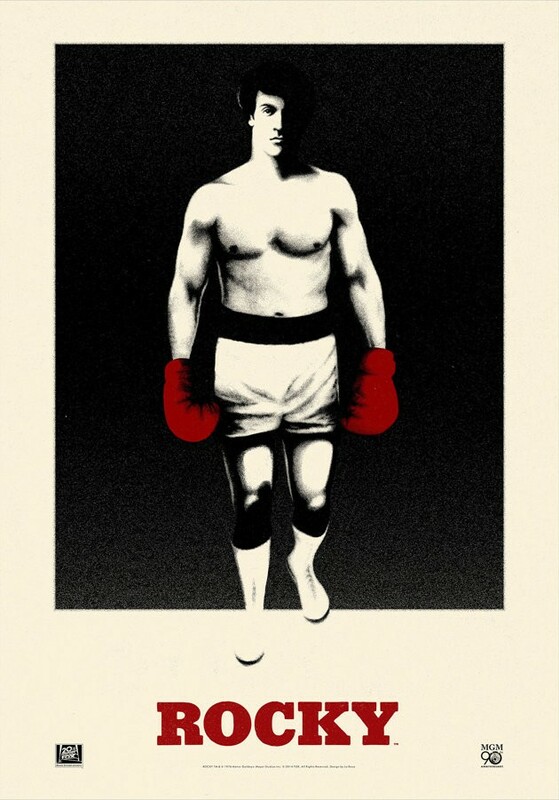 Merrick Declares ROCKY: HEAVYWEIGHT COLLECTION A Draw!! This should’ve hit the site last week - I’m running behind on a few scheduled write-ups. None the less, I wanted to offer a few quick words about the recently issued ROCKY HEAVYWEIGHT COLLECTION which sees the first film remastered in 4K. I’m a huge fan of the ROCKY franchise - as I am of much of Stallone’s work in general (although there are some titles worthy or ire). So, it was with no small amount of excitement that I greeted the news that the first film in the franchise would be getting rejiggered into a more robust 4K format for a new release. This new remastering is, in itself, fine. It’s even rather good at times - although it’s not as noticeable (or successful) a 4K emboldening as a number of other titles have undergone. The reworking of ROCKY into 4K is surprisingly understated. Colors are certainly richer and there’s a notable, overall visual ‘oomph’ which the previous issuance did not enjoy, but the general impact of presentation here isn’t likely to blow one out of the ring. I’d even go so far to say, some folks might appreciate the brighter and harsher look to which many of us have become accustomed when viewing the picture. Here’s a comparison reel which gives you an admittedly flawed but illustrative sense of this new 4K mastering vs the 2006 edition. Not having the zippiest of 4K restorations isn’t a profound crime, although it does seem to defy the point of attempting the process in the first place. In a number of regards, I’m not sure this remaster services the film as well as it might’ve…as well as it should’ve. Certain aesthetic qualities feel diminished and even muddied at times (HERE are some interactive screen grabs to give one a better sense of the ‘befores’ and ‘afters’), and some scenes feel like the folks driving the remastering machine didn’t fully consider the requirements of that specific sequence, and instead applied default settings (or something). I would not call this a poor re-mastering, nor would I call it entirely successful. Another problem with this HEAVYWEIGHT release: this is a six movie set, and only the first film has been remastered. The second movie (arguably a stronger installment) remains the same version previously issued, as does the slicker ‘wouldn’t that look awesome in 4K?’ ROCKY IV, as do all other films in the cycle. Therefore, if you own the entire saga already, you’re being maneuvered into a mandatory double-dip if you want to partake in this 4K restoration here in the States. The cost for said double dip is reasonably fair, however - $39.99 on Amazon - but this doesn’t change the principle of the matter. Nor does it change that you’re being asked to spend $39.99 on a remaster which is less potent than it might’ve been. Interestingly, and frustratingly, the first film is seeing a stand-alone re-release in the UK. One would assume this will eventually happen here, or that The Powers That Be will swing back to present yet another set with 4Ks of the entire sexology on-board. So there you have it - a somewhat confounding issuance. In some regards, ROCKY has never look better on home video. In other regards, it has looked better on home video. It’s all a tad sloppy and crass. So sad, because Rocky Balboa would not approve of such shenanigans. 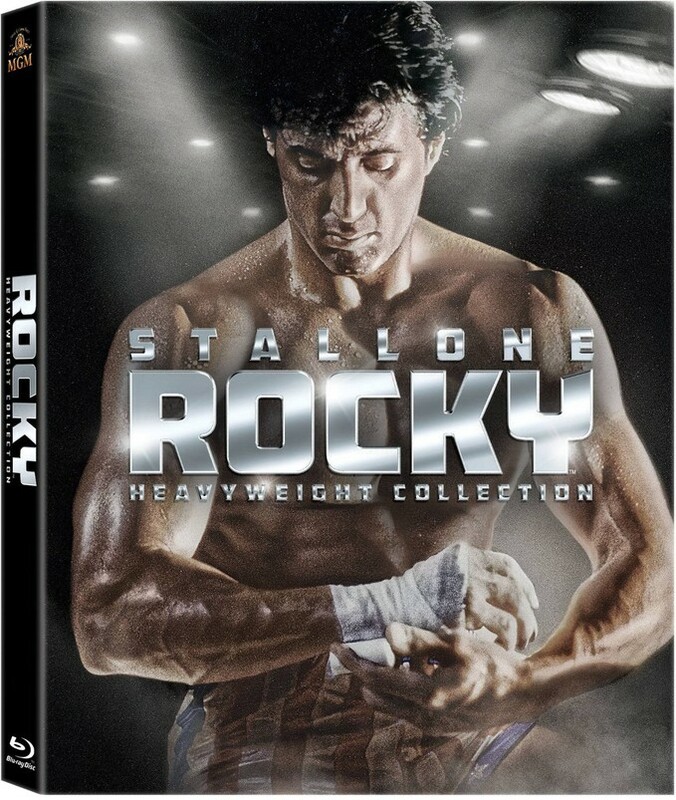 ROCKY: THE HEAVYWEIGHT COLLECTION is now available HERE in the US. And, by the way, there’s some fascinating and brilliantly truthful perspective from Sly HERE - shines a fresh and interesting light on an already fascinating man.